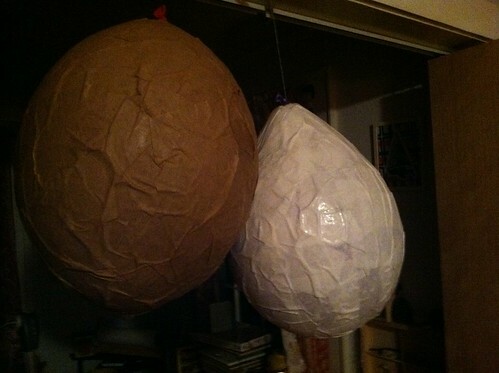 What started out as balloons from the dollar store, a tweet asking what sort of pinata I should make for M's birthday, and an answer from my sister. "A marmot," she responded, though I think maybe she was kidding. 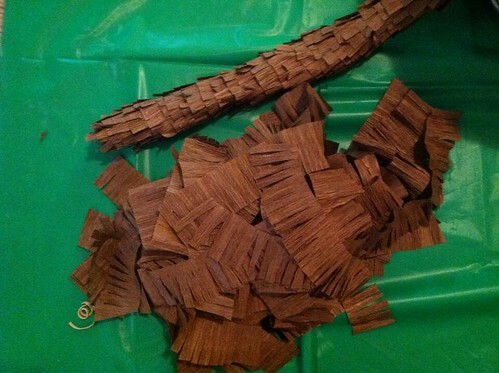 As it turned out, her suggestion was perfect for our loosely squirrel themed party. Did you know marmots are a type of squirrel?? 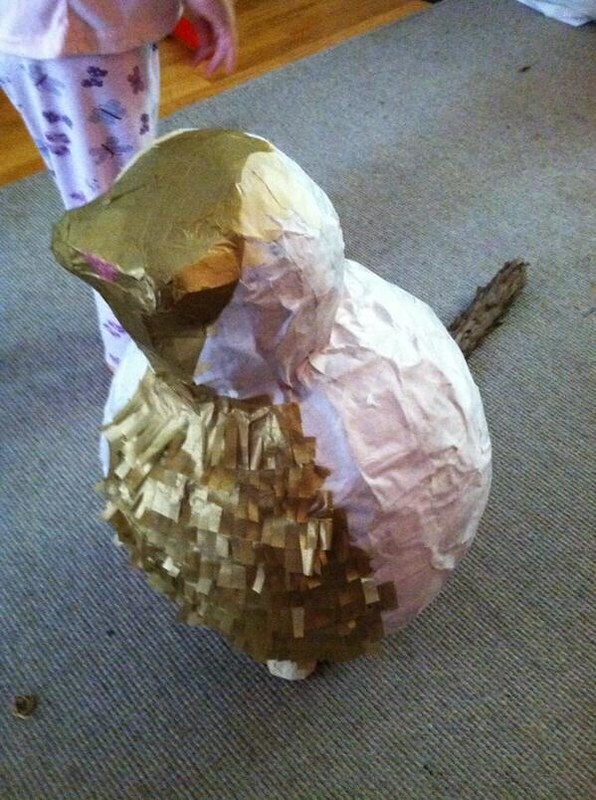 Thus, making a giant ground squirrel became a week-long pinata challenge. With 2 kids, finding time to make something is hard enough, but finding time to make something with glue, colorful tissue paper, and a curious nearly-4-year-old was an exercise in patience and letting go of perfectionism. 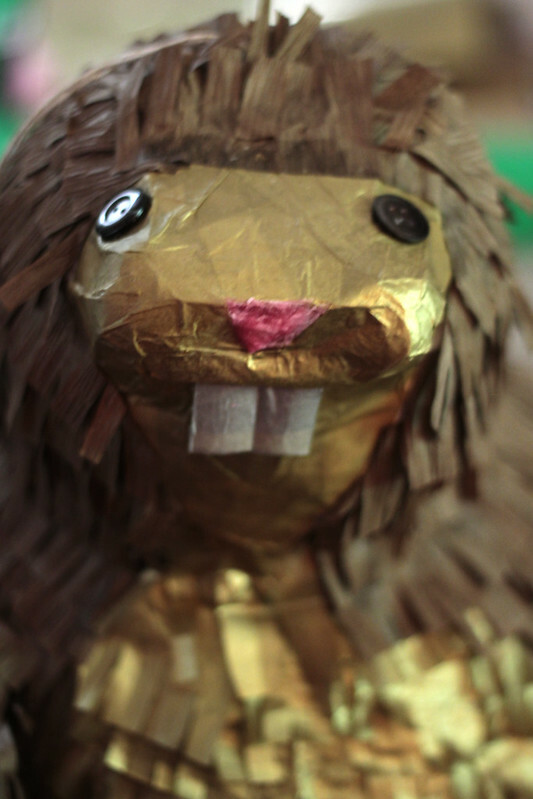 We used the craft as an excuse to look at cute marmot pictures online and learn a little about them in the process. M did a fantastic job trimming the fringe, applying the glue and making suggestions for the form. She regularly told me, "It looks great!" But really she was complementing herself as much as me; she really did quite a bit of work. So we worked together through the week and the weekend, me and that darling little girl, and finished the marmot. 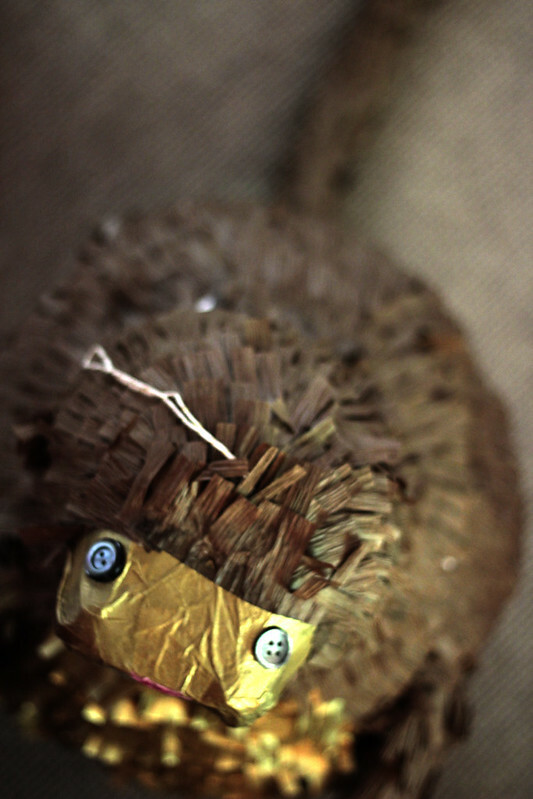 I have to say, I'm pretty proud of the critter. I never knew I had marmot-making in me. 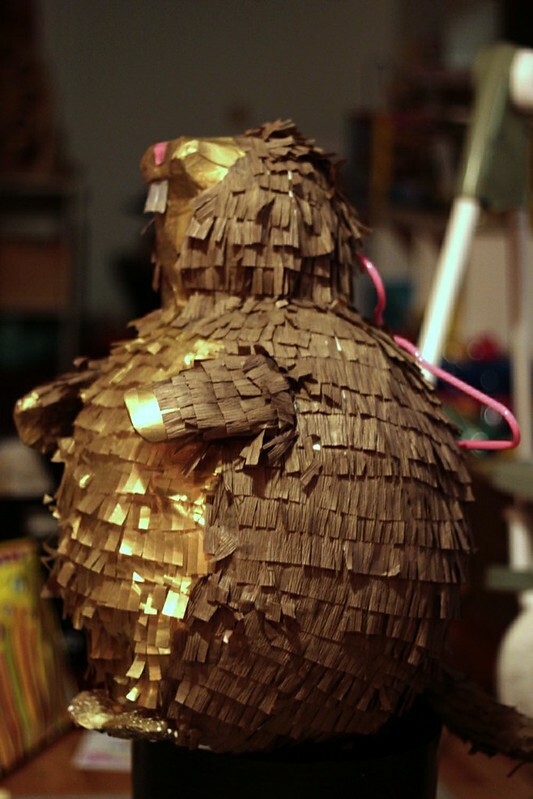 I am, though, reconsidering it being a traditional pinata and maybe turning it into a pull string one. I mean who could, in good conscience, smash this cute little mug with a stick?